Those easy to miss moments are where the real fun is! 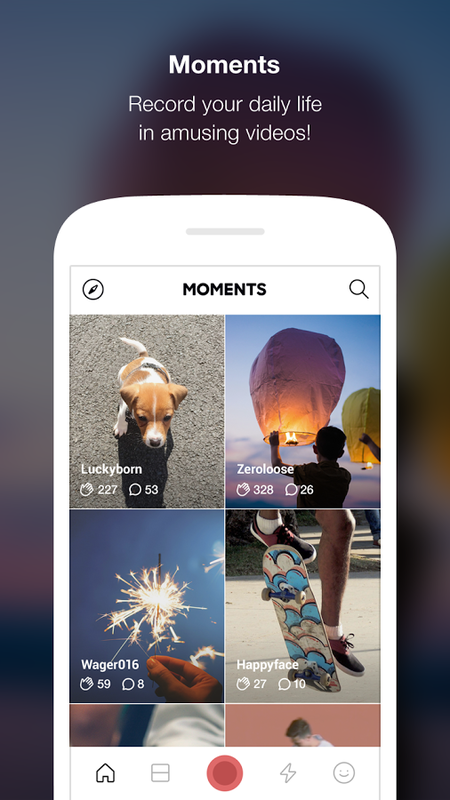 Capture those fun times with super simple social video app LINE Moments. Experience a new way to record your daily life. 1. Recording looping videos is a breeze! Record videos with just a touch of the screen and instantly create fun looping videos. Looking for something longer? 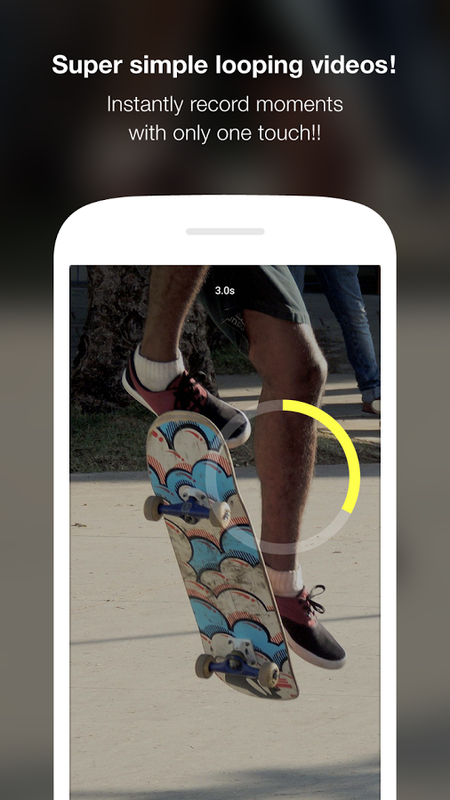 Tap and hold the screen to record videos up to 10 seconds. 2. Video speed and direction as you like it! Adjust the speed from fast to slow to suit your taste. Reverse the video or change looping if you want! 3. Various filters optimized for videos. We’ve got action filters optimized for videos such as Twins and Sketch, as well as standard color filters. Breath some vitality and enjoyment into your videos. 4. Wanna create videos from your photos? Stitch together photos from your camera roll and effortlessly turn them into videos. Follow interesting people and share videos with your friends.